After crossing the majestic courtyard of the Great Stable, you will enter a disarming place of luxurious simplicity. 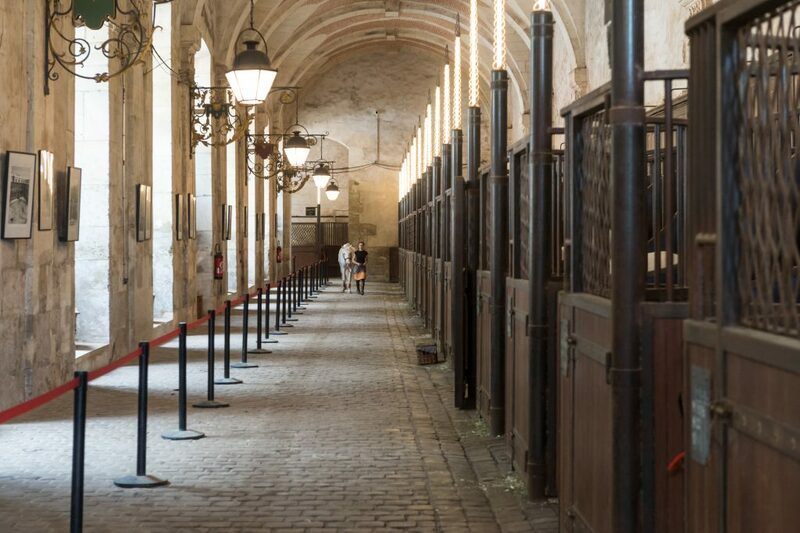 In close collaboration with the Palace of Versailles and the French equivalent of the National Trust, Bartabas entrusted the restoration of the Royal Stables to Patrick Bouchain, with whom he has built up a close and open working relationship over the years. The Arena has been designed like a theatre décor, a small showcase of untreated wood positioned on a layer of stone. Murano glass chandeliers and mirrors, in which horses and riders are reflected ad infinitum, make reference to the Hall of Mirrors. The simplicity of the materials and the assemblage of beams and planks recall the ephemeral constructions of the Versailles of yesteryear. The Farnese Theatre in Parma inspired the lights and the mobile architecture. Facing the tiers a dress circle and a ring of golden sand occupies two thirds of the surface. The stables have been designed to take into account the harmony of the volumes and the constraints linked to the running of the academy as well as Bartabas’ demands linked to the horses’ wellbeing. Boxes have replaced the old stalls: very simple, elegant and spacious; and topped with vertical coiled lighting, a modern reference to unicorns. 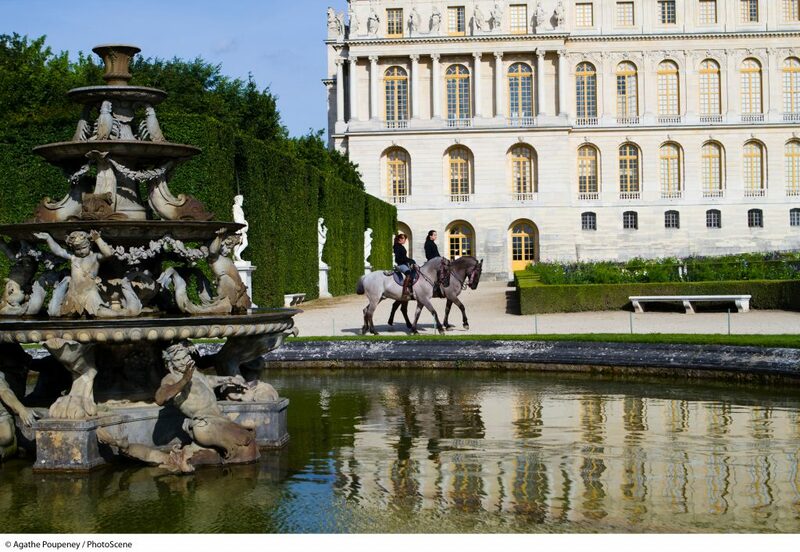 All of these facilities have returned these buildings to their first vocation, equestrian activity, whilst preserving the beauty of the historical site built by Jules Hardouin-Mansart at the end of the 17th century to house the prestigious royal cavalry. During your visit of 1:15 with a guide speaker, discover all the secrets of the Grande Écurie. 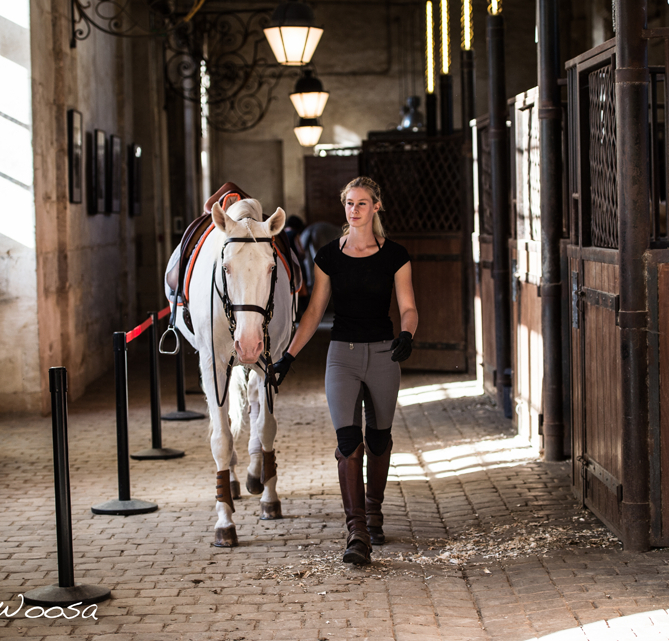 You may cross the horses of the show, walk through the workspaces and admire the Arena. 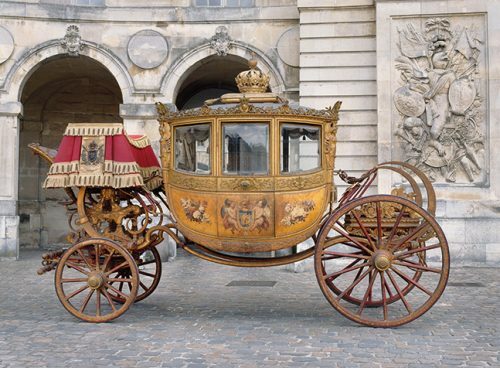 Visitors will discover these magnificent collection of coaches, one of the largest in Europe, and will be on display in a new and fully redesigned space. Open every day except Mondays. Free access.